You’ve probably heard Intel talking about stereoscopic 3D support on their newer generation of processors with integrated graphics, but you haven’t seen much of these in action showing some stereo 3D content, right? Me neither, so I’ve decided to try and build a small form factor HTPC system based on Intel platform that will be used for stereoscopic 3D movie playback – both Blu-ray 3D and 3D video clips. This has turned out to be a bit of a challenge as apparently Intel is not very keen on sharing all the information that you may want to know if you want to make a 3D-capable PC based on their platform with no external graphics to handle the stereoscopic 3D output. Apparently when talking about integrated graphics from Intel playing games in stereoscopic 3D mode is not an option, but for 3D movies it should still be a good solution. What you need when you decide to build an Intel-based video PC that should be capable of handling stereoscopic 3D playback is a motherboard with HDMI interface that supports HDMI 1.4 output and an Intel processor that supports Intel’s InTRU 3D technology. 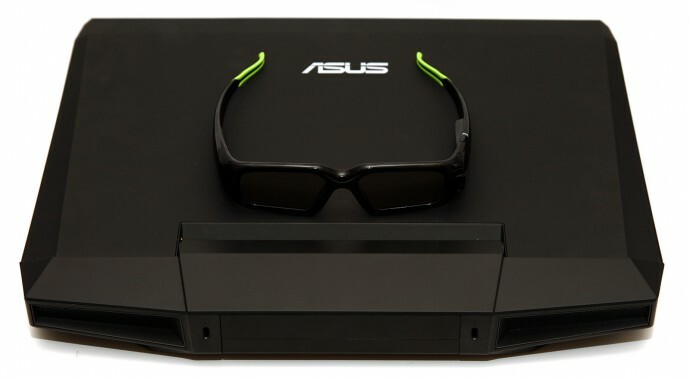 The InTRU 3D support is a very important thing, you should be aware that going for a Intel processor with no support for InTRU 3D technology will make it impossible to output 3D content in HDMI 1.4 frame packaged format that a 3D HDTV would be able to interpret and display in 3D automatically. You’d need a second generation Intel Core processor (Sandy Bridge) LGA1155 in order to have support for InTRU 3D, and this means Intel Core i3, Core i5 or Core i7 CPU, Pentium processors won’t do as they don’t feature InTRU 3D support. I’ve went in for ASROCK H67M-ITX/HT motherboard with Intel Core i3 2100 processor as the most affordable desktop model that supports InTRU 3D technology in order for the HTPC to work with software Blu-ray 3D video players. 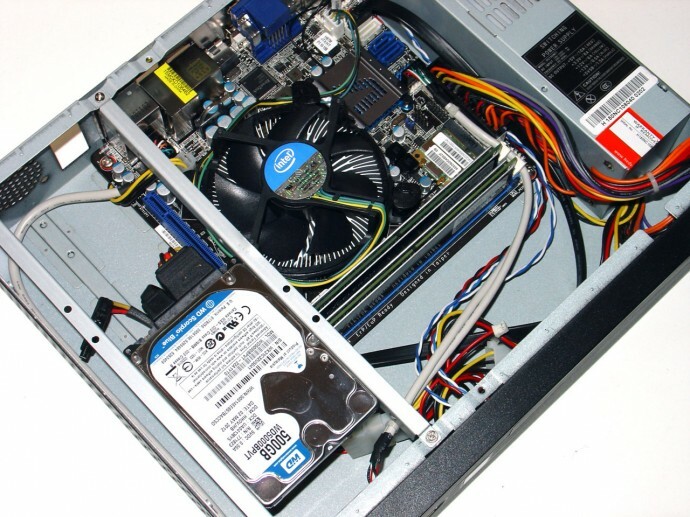 The rest of the hardware – mini ITX case, 500GB 2.5-inch hard drive, 4GB DDR3 memory and an external Blu-ray drive connected over USB, although you can also use a mobile Blu-ray optical drive. On the software side, Windows 7 OS and after that I’ve tried all three software players supporting Blu-ray 3D playback that are currently available – PowerDVD 12, WinDVD 11 and Total Media Theatre 5. The good news is that all of the three worked perfectly fine with the Intel stereoscopic 3D output for Blu-ray 3D movie playback, but the one that I’ve chosen to use in the end was PowerDVD 12. Cyberlink’s player works very well for a single click solution for playback for both 2D and 3D videos, regardless of the format, so this makes it very suitable for use on an HTPC, the other two solutions did not work that well or were not so easy to use the way I wanted them to be. In the end however I remain with the feeling that I could’ve made a very similar solution based on AMD platform with integrated graphics, for example AMD A75 with FM1 processor that would’ve been a bit more affordable in terms of price and still more than capable of handling Blu-ray 3D playback. The fact that Intel considers the support for InTRU 3D technology as a premium feature and makes it available only on the Core processor and not also on the more affordable Pentium lines, doesn’t make me that happy. Still if you are considering the idea of building an HDPC system for 3D video playback and you don’t know where to start, I hope that the above information could be helpful for you as some of it I had to find the hard way – trying different things until I made them work. Again I have to blame Intel for not being very talkative about the stereoscopic 3D support and their InTRU 3D technology which in the end is making it harder to users to take advantage of these features.